Cozy up to the fire with a pint of pFriem’s Winter Ale and gift your taste-buds with hints of spice, orange zest, caramel and a touch of spruce tree. You may even sense the subtle notes of fruitcake, which might encourage you to share this Winter Ale with your family and friends. Unlike fruitcake, this is a beer that will not be re-gifted. “Winter Ale” covers a broad spectrum of beers in the marketplace. They can be brewed with a heavy hand of spices, be malt driven, or be hop forward with a strong malt backbone. In any case these beers are brewed to celebrate the winter season. They are best enjoyed next to a warm fire, after a powder day on the mountain, and are perfect for the Holiday Season. 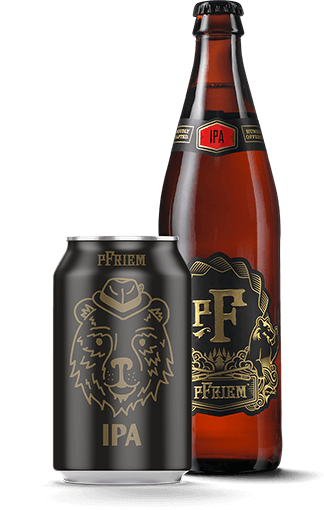 pFriem Winter Ale is hop forward with juicy aromatic hops, balanced by rich maltiness. Bright tawny amber with an off-white head. Fruity aroma with a touch of spice; waftings of fresh baked fruitcake with a touch of spruce tree. Rich bold flavors of hops and malt meld with a touch of orange zest and huckleberries. The finish leaves the mouth covered with a trace of caramel, cut by an assertive hoppiness. Holiday cakes and bread. Roast turkey, cranberry stuffing, glazed ham & roasted potatoes, and pan-roasted black cod. Baked apples, pear chutney, holiday pies, and vegetables.